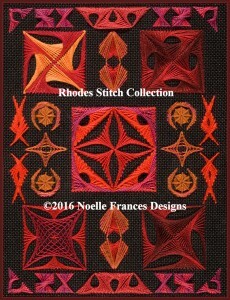 This Rhodes Stitch Collection is a counted needlework embroidery design of fifteen different variations of Rhodes stitches available in printed and Kindle formats. 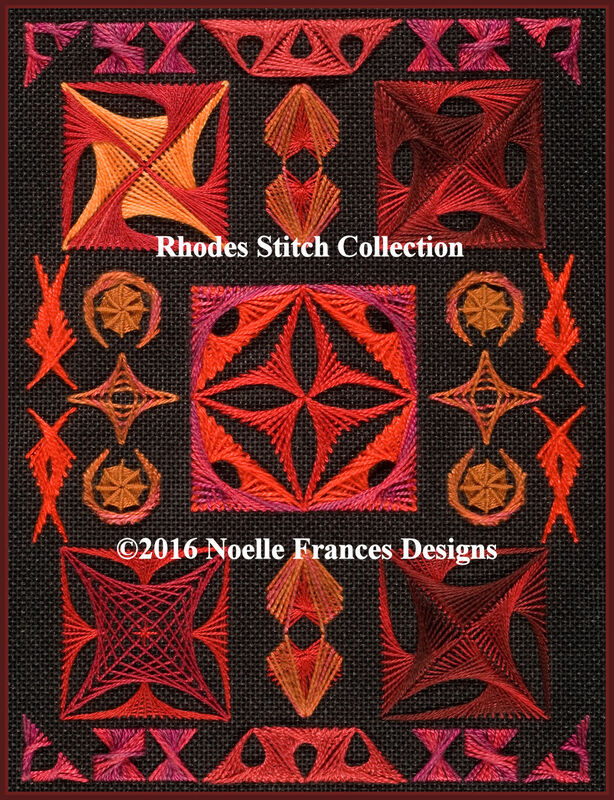 The top and bottom rows of my Rhodes Stitch Collection features the smaller elements of the design to provide the reader a chance to familiarize themselves with working a counted needlework design. The booklet starts off with a section that discusses reading counted charts, stitching a Rhodes Stitch pattern, combing the stitching thread to help it lie flat, and working with two stitching threads in the needle. The second section of the booklet is lengthy as each of the fifteen Rhodes stitch patterns are discussed and presented with detailed photos and charts. The last two sections of the booklet lists threads used followed by full charts of the design. 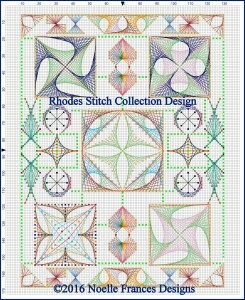 Rhodes Stitch Collection design is 121 w by 163 h.
Worked on 18 count the finished size is approximately 7 by 9.25 inches. 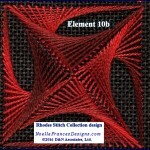 My booklet Rhodes Stitch Collection, 90-plus pages in length, is offered in e-booklet format and printed as a 8 by 10 inch paper bound booklet. 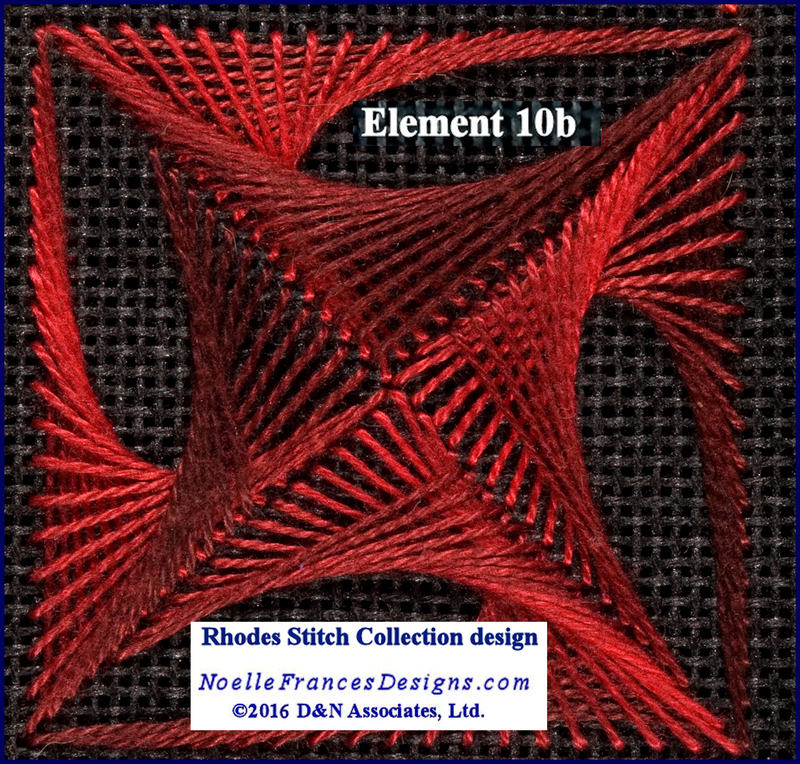 Click the below photo for ordering or to access the Look Inside feature to view a few pages of the booklet for the Rhodes Stitch Collection design.